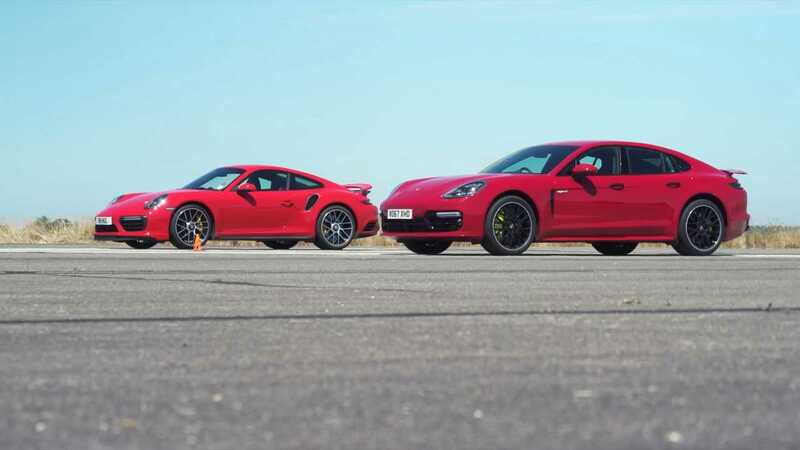 1 Comment on "Watch Porsche Panamera Turbo S E-Hybrid Drag Race 911 Turbo S"
While a 1/4 mile/400m race is a good benchmark, maybe they should also test the 30-130 time, the standing mile/kilometer time, in gear acceleration, a lap time, a braking distance and many more variables. You can’t judge a car on one metric, that’s way too one dimensional. It’s still massively impressive though.